The Rails swimmers faced off against long-time powerhouse the Roosevelt Rough Riders on Tuesday (9/27). 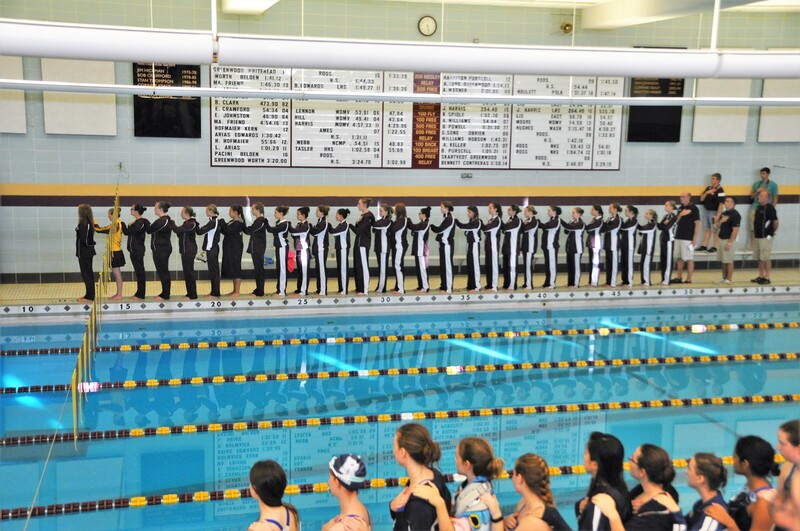 Lincoln girls swimming has only beaten Roosevelt one time in school history – 10 years ago. This year’s squad set a big goal of trying to do it again but came up just a little short. It was a wild meet with four girls miscounting the 200 Free, several personal bests for swimmers and divers, and even a tie race. While we can’t recognize everyone, below are few highlights from the meet. The “B” medley relay (Mangin, Whipple, Hoefler, Poli) had the fastest “B” medley time in over 12 years – 2:07.94! Cat Dooley’s 200 IM time of 2:28.08 (-3.75 seconds) was a personal best! Below are a few photos from the meet. All 279 photos can be viewed on the team’s photo website.